Dr. Zach Hambrick is a Professor in the Department of Psychology at Michigan State University. He received his Masters degree and PhD in Experimental Psychology from the Georgia Institute of Technology before joining the faculty at Michigan State University. Zach is here with us today to tell us all about his journey through life and science. Zach spends his free time hanging out with his dog, teeing up on the golf course, and reading great books. In the lab he investigates individual differences in expertise. Why is it that some people just better at certain things than other people? In his early years, Zach was fascinated by his observation that some people just seemed to be better at different things than other people. He was obsessed with people who mastered things, and loved to read through the Guinness Book of World Records to learn more about people who excelled at something more than anyone else in the world. Publishing papers in this field is a constant challenge, since the topic is somewhat contentious. Zach really believed in the importance of a recently submitted paper, but it was ultimately rejected. After a few days of feeling low, he was back at it and worked to improve the paper to resubmit to another journal. Zach and some of his colleagues recently published a complex review paper that covered practice and performance across a variety of types of tasks. It was a lot of work, but they pulled it off, and he was able to celebrate on the golf course! Though Zach hasn’t had many opportunities to travel internationally, he is really looking forward to potentially spending his upcoming sabbatical in Scotland. His graduate advisor Tim Salthouse used to work unusual hours, so Zach switched his schedule to match. The two of them enjoyed talking science at 3 AM in the lab, and his advisor even brought snacks and a sleeping pad to make the lab a little more like home. At any cost, you have to do work on the things that most interest you. 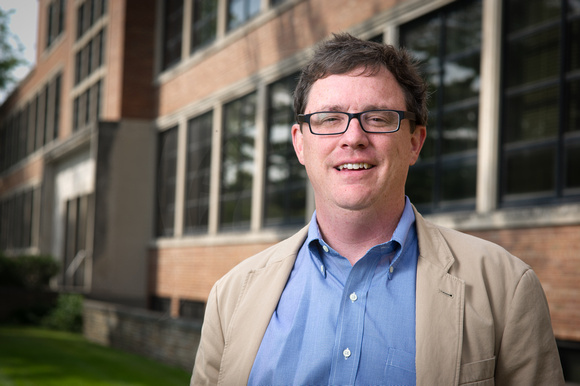 Dr. Hambrick’s research focuses on the underpinnings of human expertise. His investigates the widely debated issue of why some people reach extremely high levels of performance while most others do not. What distinguishes the best performers in music, sports, the professional world and so on? Is it all about training? Or do other factors play a role, too? Zach is also an associate editor for the Journal of Experimental Psychology: General, and his written for The New York Times, Slate, Huffington Post, and Psychology Today. Zach is a Fellow of the Association for Psychological Science.